Consignement stock located throughout the country (including the islands). Square meters of office total. Square meters of automated warehouses. Windshield fast movers sorted in advanced warehouses. Pieces in stock in the warehouse of Turin. Pieces in stock in the warehouse of Naples. Pieces in stock in the main warehouse of Cervere (CN). The DIRA group has always paid attention to a necessary “green approach” at work, so that its environmental impact can be minimized and every step of the supply chain aims at reducing consumption, refuse and waste. The most significant step in this direction was the development of a fully integrated photovoltaic system , occupying 2,000 square metres of panels split between the offices in Cervere (95kwh) and Turin (31 kWh). This investment has permitted zero consumption, as production exceeds the internal needs of the company. The surplus is fed back into the national grid, testifying to the project’s forward-looking action and the plant’s efficiency : there are today 120 kWh per year of average electricity production. With this choice, DIRA contributes to the reduction of CO2 emissions, accounting for a reduction equal to 62 tons of emissions each year, and at the same time working towards the sustainability of activities by means of a constant mix of targeted investments and environmental sensitivity. DIRA’s effort towards waste reduction is realized in particular by the use of natural materials for packaging which are durable and permit multiple reuse. DIRA (Italian Auto Parts Distribution) works with over twenty years’ experience in the distribution of automotive glazing. The group has grown and changed to adapt to an increasingly vast and ever-changing market, integrating ever faster and safer work dynamics. The goal is to offer its partners and their customers rapid response and constant reliability guaranteeing the work of collection and product distribution. DIRA SpA was founded in 1986 firstly in Marene (CN): 1200 square metres of warehousing for the first steps in spare part distribution. After a decade, the first selective choice, focusing efforts and investment in the direction of glass. In 2005 DIRA moved its operative centre to the heart of the province of Cuneo, choosing Cervere as the nerve centre of the company: the business moved to the new premises, 4200 square metres (in continuous expansion), in which are also located secretarial services , logistics and organization of the entire group. 2008 is the year of change: the DIRA set out on automotive glass distribution, exclusively produced in Europe and original, and set up the first overnight route between Liguria and southern Piedmont. In the same year the e-commerce section of the site Dira.it was created. Since 2010 the distribution network has become more efficient, employing highly mechanized warehouses with detection systems for the continuous monitoring of shipments. Within the five years 2007/2013 catalogue products increased from 8000 to 14000, the distribution network widened further and the opening of the headquarters in Naples has permitted even greater expansion, reducing distances and cutting the time of transport. From 2013 DIRA has been able to guarantee delivery within 12 hours in northern and southern Italy, while it remains within 24 hours for Lazio, Umbria, Marche, Abruzzo and Sardinia. 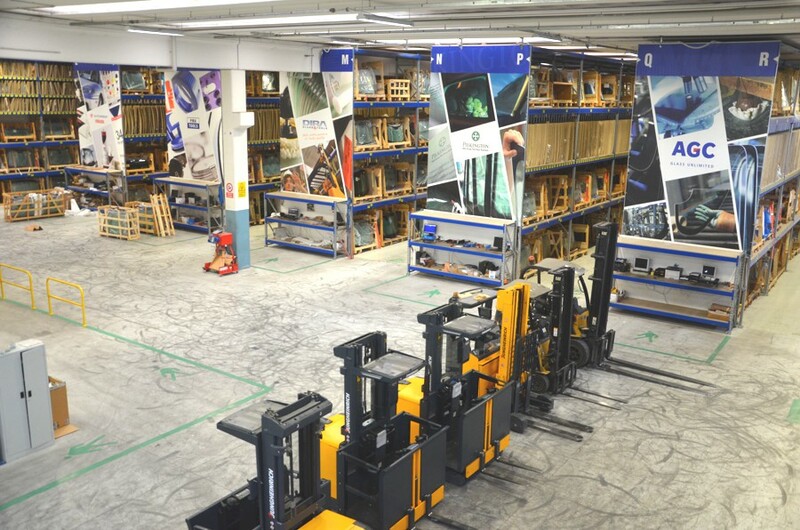 In 2015 it is planned to open a new distribution warehouse in Veneto, with which the speed and efficiency in deliveries can be refined everywhere through a greater capillarity of presence and a better distribution of the nerve centres of the DIRA system.